Forge: Mutant Super Maker #SaturdayMorningCartoons « Adafruit Industries – Makers, hackers, artists, designers and engineers! If you could have any super power, what would it be? Flight? Awesome. Invisibility? Creepy. How about the Native American Marvel mutant Forge. 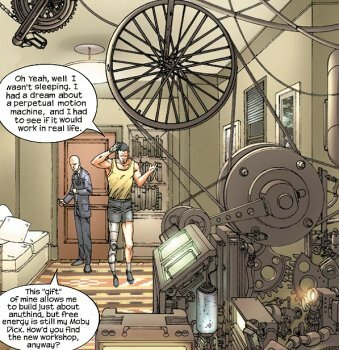 In other words, Forge’s mutant power is being a maker. 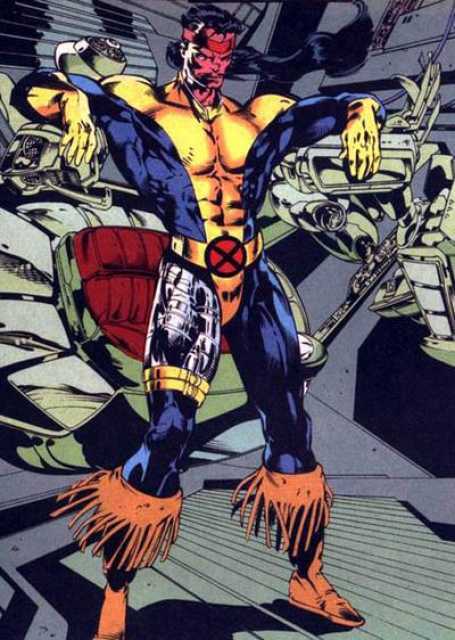 Very little is known about the past of the mutant called Forge – it is even unclear whether Forge is his actual name. He was presumably born in the American northwest to a tribe of the Northern Cheyenne and gifted with shaman’s powers rarely – if ever – seen before, which meant he was raised by the shaman Nazé as a shaman himself, and developed considerable magical powers. He was consecrated to fight the tribe’s foe, known only as “Adversary.” At some time during his teens, he discovered that, besides his magical heritage, he was also a mutant, as his mutant power to invent whatever machinery he could think of manifested. When he was eighteen years old, Forge rebelled against Nazé’s teachings and his mapped-out future and decided to join the army in the Vietnam conflict against Nazé’s wishes. He quickly proved himself to be a crackshot. His first mission in the war put pain to his dreams of glory. Forced to kill a Viet Cong his own age, he realized war wasn’t a game. Forge quickly made sergeant and, after his first tour of duty, was offered a job in the newly created agency SHIELD but declined, feeling he had an obligation to his men to bring them home safely. Here’s hoping we get to see Forge as a live-action character sometime soon!